The Billfish Foundation strives to support its local south Florida community and partners with like-minded organizations to expand our work. In keeping with this practice, TBF helped the Miami Seaquarium celebrate its 62nd birthday this past Sunday, September 24. 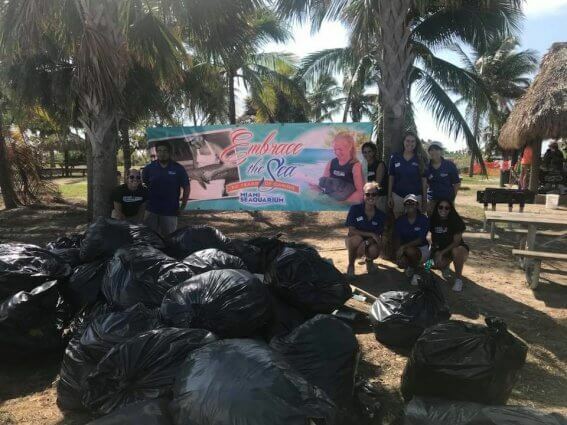 To commemorate its 62nd anniversary, MSQ invited the community to a beach cleanup at the Historic Virginia Key Beach Park, across the street from the Seaquarium. In addition to the recent damage from Hurricane Irma, the Park is a popular spot for locals and that heavy use can bring trash issues. Over 200 people showed up Sunday morning from 8-10a.m. to gather trash off the beach and park grounds. Doughnuts were provided and participants were thanked with a free admission pass to MSQ, after they reopen following Hurricane Irma. Once finished cleaning the beach, volunteers visited with the ocean conservation groups who set up their tables under the pavilion. 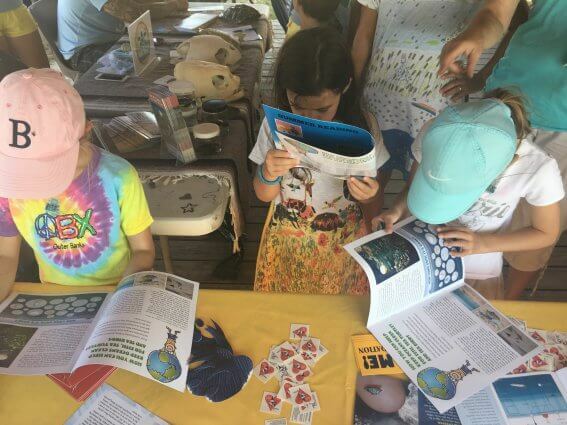 The Billfish Foundation was one such organization, speaking with participants about the tag and release program, education and outreach initiatives, as well as sharing some of the amazing facts about billfish. 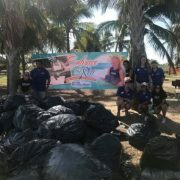 In the end, dozens of bags of trash were collected (we are still awaiting the weight) and the park looked good as new. Congratulations to the Miami Seaquarium for bringing ocean entertainment, education and conservation to the community for 62 years.